Hello Nadia, The pain must be excrutiating. I think you have a very good thing working for you and that is your age. I survived an airplane crash and I had just turned 20 years old 2 weeks before it happened. I spent a year in the hospital. I found cards from people cheered me up. Sure would be nice if I could send you cards or anything to cheer you up. My 4th grade teacher was still teaching when this happened and I got a huge envelope from her children in the class and reading everything and seeing how their little minds worked was something to behold. You never know why people come into someone’s life but today my brother came over after his visit with the surgeon and a lot of what you went thru lies ahead for my brother. Nadia your father is terriffic with his camera work. I think you are the best. Your enunciation is perfect and you are truly a delight. I could go on with how your life has changed mine but we only get so much space and it is 4 am in the morning. I just finished square 31 and the one for today. I kept telling myself I wanted to start this idea of the blocks and I keep getting projects that interfere. Well I am going to try to do 2 a day till I catch up. I wish I had a smart phone so you could see some of my color combinations. I loved your minion tutorial and I made 21 of them, I wanted to do Elsa hat for my 3 granddaughters but thought it would be time consuming and hard. Well someone who bought the minion hat wants one for her daughter and another hat for her son in March. May this be a truly spiritual time and hope your doctors have found the right combination of medicines to keep you out of the hospital . My love and prayers to you. Dear Nadia, your story touch me and I am so inspired by your courage and outlook with the hand you have been dealt in this life. Thank you so much for sharing with us and thank you for also sharing your talent of crocheting I am so happy that you have found away to help you cope through creating such beautiful work. Your videos are so well made and instruction could not be any better. I believe in the power of prayer and now that I have heard your story I will be praying for you sweetie and that soon there will be hope and a cure for this awful disease, take care! Dear Nadia: I just read your story for the first time and I am so overwhelmed with what you have had to endure. I do agree what God takes you to he will see you through. You are such a brave example to all of us. Thank you so much for sharing your wonderful talent of crocheting with us. I am not talented enough to make designs myself but I copy well. I love your work and you are in my prayers. God has something special planned for you. Hi my name is Mariam. I am trying to catch up with you crocheting the “365 days of granny squares”. I started late by 45 squares so my daily homework is crochet the current daily square and do one from previous youtube episodes. i also will be doing the granny square coat. You look great in it. I would like to thank your Dad for doing the videos. Are you knitting also? You’re an incredible woman and a brave brave soldier. Hang in there! My thoughts and prayers are with you and your family. Wow, you have endured a lot. My nephew has just been diagnosed, he is 19. I am making mermaid tails for my granddaughters, thank you so much for the FREE pattern, we will make a small donation to finding a cure. All those who criticise your patterns should read your blog! Nadia I just read your story and am in awe at your strength and positivity. I wanted to find out how your surgery went on December 9. I imagine it went as well as can be expected since you’re able to give us the 365 days of granny squares. Either way you are my inspiration. I truly love your videos and the way you teach and wish that you get better soon. I hope you are well and have been recovering well too. Hearts around the world are here for you. I almost lost my mother last year with all of her sudden problems that ended with the loss of her leg, and LG intestine. I stayed every day with her and your story brought all of it back and flooded me with all of the emotional memories. I’m very glad you found strength and purpose with crochet and you do very beautiful work, your love of love comes through in your videos as well. I’m thankful that you share them. I got sick and couldn’t work outside the home 6 years ago (I was 27) and was a single mother of 2 at the time. I only knew how to work and provide for my family. 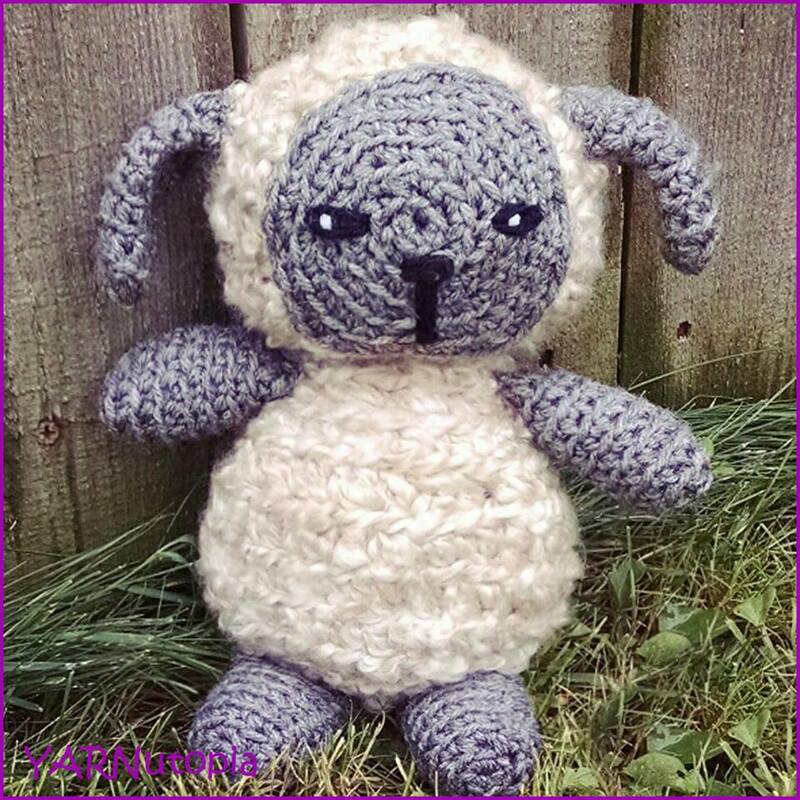 Finding crochet helped be through the pain, the emotions, helped me in so many ways, felt like it gave me a new path. Now I get to Homeschool my kids so we don’t miss out on adventures together. My heart is with you on your journey, I hope we all keep each other strong. Nadia, I came upon your site through a link on knittingparadise.com for your knee socks. They are truly remarkable. I read your story and pray that God will bless you and heal you. You have a great talent and a wonderful spirit. I will pray for your quick recovery. I accidently came across your tutorials looking for a heart pattern. I didn’t know anything about making them, as Ive only ever crocheted scarfs and such. I made my very first “entralac” crochet by Tunisian crochet afghan for my brother and it came out beautiful. So, I wanted to make a heart themed afghan for my oldest niece and I found this video on making one. It was yours. Didn’t know it at the time. I just wanted a quick fix I suppose, as I got more into making the hearts for the blanket, I came across this video for a heart on granny square….your #41 in the 365 a day….and fell in love with granny squares. ive changed my mind about the heart blanket and decided to go with a granny square “Hearts and Flowers” afghan, using all of the ones from your 365 tutorials. I finally found the original heart tutorial, and it was yours. How amazing was that! Thank you for inspiring me with your granny squares, your love of crochet and your amazing tutorials. You are a great teacher and I watch you every day to learn more. On a side note, I can appreciate your health issues, as I was diagnosed in 2004 with Celiac Disease and Microscopic (collagenous) Colitis. I can understand the “Looking normal, yet on the inside my body fighting against itself every day”. I had a friend who had Crohns. He had the ileostomy temporarily after having most of his bowels removed. To top it off, he has mild Cerebral Palsy ( was in a wheelchair as he couldn’t walk much). I hope you keep facing each day with your wonderful attitude. You go through so much more than I ever will, but my prayers are with you, and bless your family for their strength and understanding of your disease. While your journey is incredibly challenging, I do hear hope, love of self and life! We are all the walking wounded. I feel your inner strength Nadia. We are blessed you are here! I Love Your Work.You are a brave person and you are in my prayers. Sending healing prayers and blessings in the name of Jesus. Praise be to God. You survived all those operations and went through all those struggles you are a very strong person. God is always with you. He brought you out from all because his not finished with you yet. You have lots more work to do for the Lord. Dear Nadia, today was the 1st day I heard your story of undeniable bravery, strength and faith. I found this article thru an old high school friend of mine who’s daughter is your sister in law. I remember when my friend began posting photos of their engagement and the blessing of their adorable new baby. I also remember photos of you and how beautiful I thought you were, then and still are. Whether you realize it or not, thru your journey, you have touched more ppl then you will ever know. You give strength to those who no longer have it. You give hope to those who can no longer believe in it. You give faith to those who have lost it. My hope for you is to finally be able to live a life outside of a hospital room, get married and raise children for many many years to come, until you are called home into the arms of our fathers…. God Bless you, Nadia. Thank you for sharing your personal feelings and talents. You are an amazingly strong woman. I have learned a lot from you and not just crocheting but how to look at life positively with faith and a strong will! Your yarn community loves you and I know you will make it through this terrible time! I am a stage 3 cancer survivor and although I have been so fortunate, it pales in comparison to what you are living with! Best of luck to you and thank you for all you haves graced the yarnutopia community! I’ve just read your blog. Your strength and faith touched me and I am sure you’ve touched many others. I cannot say I know how you feel, however, I was married 21 years to someone that had the same diagnosis and surgeries as you. I am Praying that you continue your faith and knowledge of God’s many blessings and grace. Thank you so much for the inspiration you offer AND for YARNutopia! I loved the crocheted colon picture! Smiling in Atlanta, Ga.